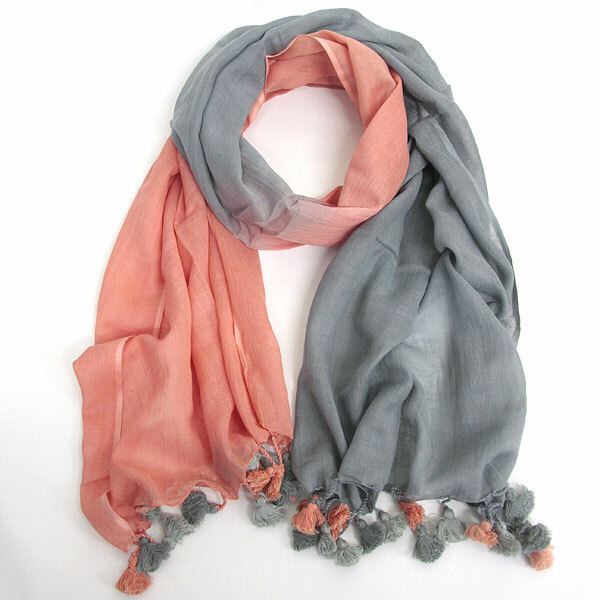 This scarf is made from a light weight cotton in a hand dyed peach and warm grey. It is finished with hand made pom pom tassels. The material of the scarf is 100% cotton.